If you watch home improvement shows, you’ve probably heard the host say, “This house has good bones,” as he/she looks over a royal mess of a house. Having good bones means the house is solid—its walls are square, the original construction was done with care, it has good proportions, a bit of personality and is the kind of space that can (with a little sprucing up) feel comfortable. This new landscape (not mine) is on a steep hill. The brick-edged terraced planting beds give the garden structure and the gardener a place to work! Gardens have bones, too, and for those of us living in the North, April is the perfect time to look at the bones of your garden. The snow is gone but not much has greened up, so the bare outlines of the garden are visible. In her new book, Gardentopia: Design Basics for Creating Beautiful Outdoors Spaces, Jan Johnsen describes the bones of your garden as those hard elements that cannot easily be moved: walks, walls, patios, steps. 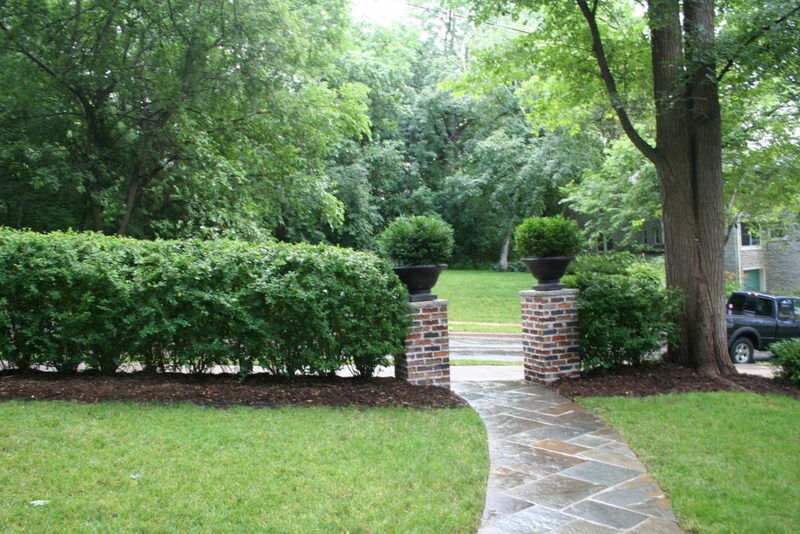 I would add fences, too, as well as trees and significant shrubs that are large and are a force in the garden year-round. Johnsen recommends paying special attention to the bones of your garden as these elements affect how you and your visitors experience the garden. An entry walk that is wider near the front door, adding space for you to greet guests or say that famous long Minnesota good-bye, makes everyone more comfortable. A stone wall capped with a smooth surface adds seating around a patio, and Johnsen is enthusiastic about brick edging that defines planting spaces. 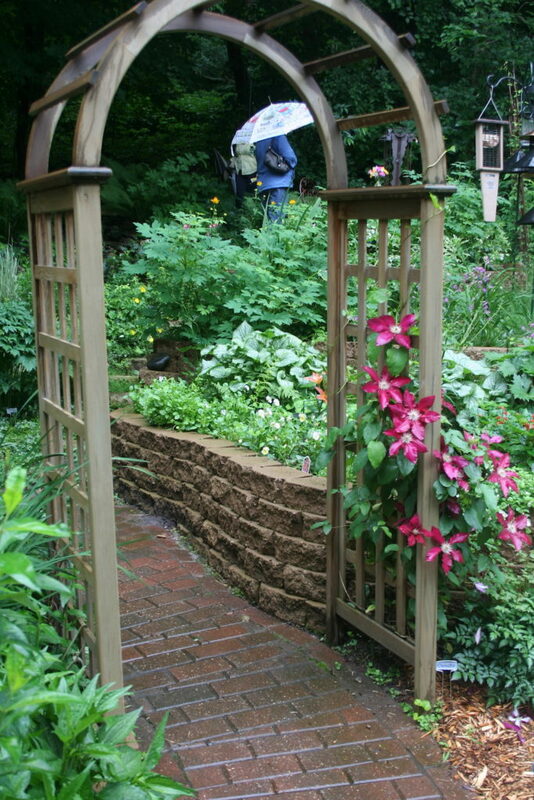 The entry trellis, edging and fence give the garden structure, even though the plants are small. It looks full and lush by summer’s end. In one of my two backyard garden spaces, the addition of several permanent elements has completely transformed the space from too-open and uncomfortable to blissful. The garage borders one side of the space, the house another. A simple trellis now marks the entry way from the patio to the private garden, and the addition of two salvaged metal gates flanking a window of the garage adds texture and personality. But the bone that really changed the space was the addition of a 6-foot fence in a warm gray-brown tone last summer. The fence adds privacy and definition. 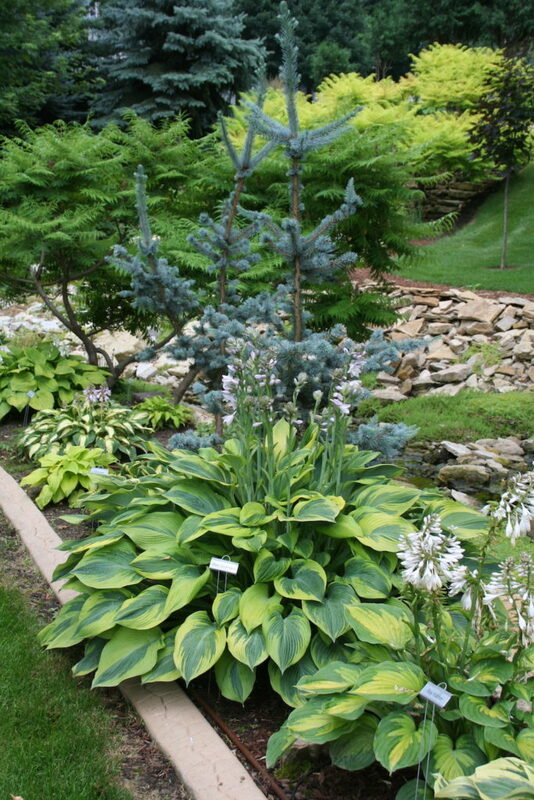 It provides a background for the trees, shrubs and perennials in the bed in front of it. More importantly, I can work in my backyard in solitude or sit there in the morning in my PJs with a cup of coffee and the paper, and not worry about the neighbors. In other words, the bones make the garden useful and enjoyable. This year’s project is the front yard. I had a garden designer look at it last year, and she concluded it needs layers and definition. (Street, yard, house—that’s basically the look we had.) I’ve added a boomerang shaped bed with trees to soften the front. The walkway will likely be re-done this year and, as Johnson suggests, I’m going to add a hard element to edge at least the foundation bed near the house. More plants and deeper planting beds should help nestle the house. What are the edges of your garden? Is it clear where the garden begins and ends? Is there a view beyond the garden that you want to highlight or frame? How do people move through the garden? Are paths clearly marked and do the materials on the path match the type of traffic it experiences? Johnsen recommends smooth surfaces for heavily used spaces. Save the steppingstones for narrow, more secluded spots. If you have a vegetable or herb garden you use for cooking, is it easy to get there from the kitchen door? What elements give your garden space personality? 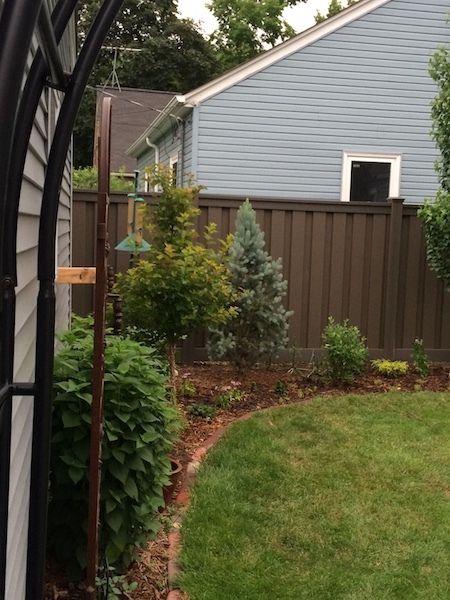 Fountains, trellises, pergolas, low walls? Any of these can take a space from OK to artful. 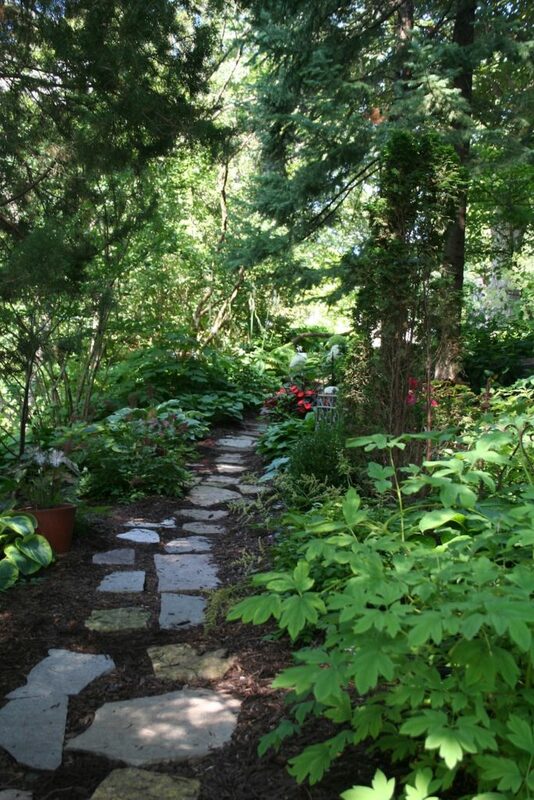 Most importantly, how does your garden make you feel without the flowers and foliage that embellish it in the summer? 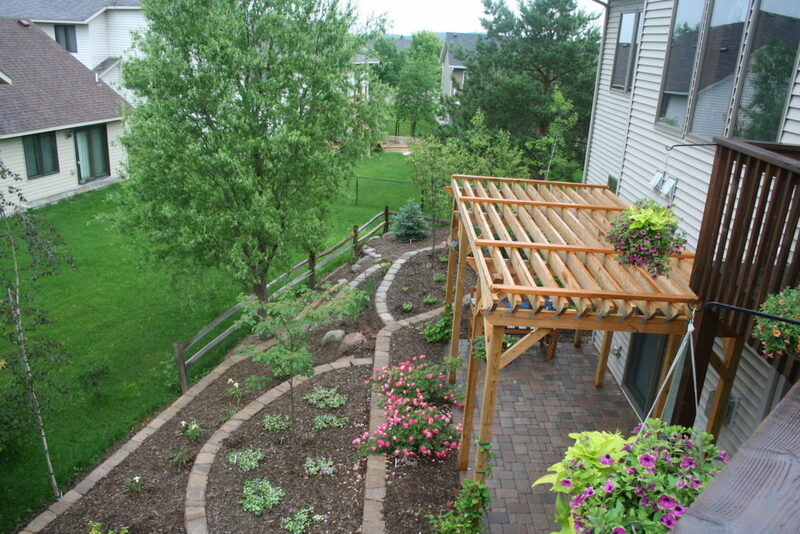 Is there anything you could add (or subtract) to give your garden a structure you delight in year-round? Thank you Mary for this lovely review!